The Jimmy Lloyd Songwriter’s Showcase, whose website is powered by Section 101, is presenting an amazing show at Highline Ballroom on July 12th. Section 101 is also one of the co-presenters, along with JLSS and Musicxray. 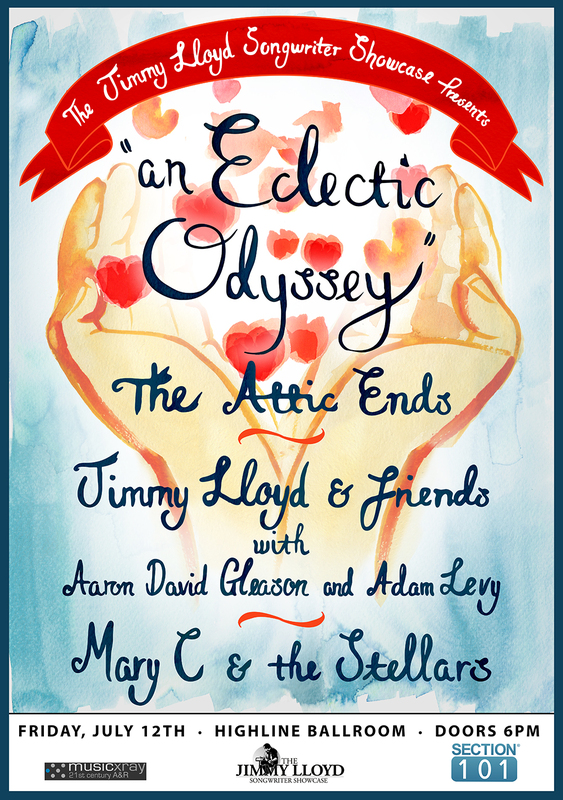 Billed as an ‘eclectic odyssey,’ the line up includes The Attic Ends, Jimmy Lloyd and Friends featuring Aaron David Gleason and Adam Levy, and Marcy C & the Stellars.